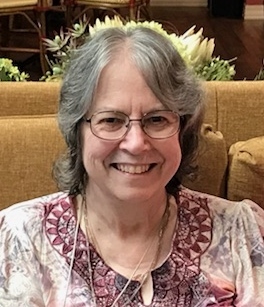 Cheryle Maxine (McKean) Foster, age 68, passed away August 12, 2018. at Oxford Grand in Kansas City North. She was born November 13, 1949, in Estherville, Iowa, the eldest of four children of James Russell and Maxine Alvina (Twedt) McKean. Along with her parents, Cheryle was preceded in death by a brother, Arlen. Survivors include her children: Craig Foster and Stephanie Jones (Levi); her children's father, Steve Foster; grandchildren: Addison and Jayson Jones; siblings: Lola Beyes (Karl) and Viona Sokoloski; as well as numerous nieces, nephews and their families. Cheryle's family would like to thank the staff at Oxford Grand for their loving care of Cheryle for the past year as she resided there. A visitation will begin at 5PM, on Friday, August 17, 2018, at Park Lawn Northland Chapel, with memorial service following at 6PM. In lieu of flowers, memorials are suggested to Susan G. Komen for the Cure (breast cancer). I Just read this and I can't believe that She's Gone! I'm Sooo Sorry for Your Loss! She was a Wonderful Woman and will be very much missed! Our Thoughts and Prayers are with You during this difficult time! Cheryle will be so missed. She was such a sweet sister in law. We so enjoyed our visit with her in June. She indeed has a loving family, and was so well taken care of. We have many years of pleasant memories Of her. Our prayers and thoughts are with her family. Rest In Peace sweet lady. I want to express my deepest sympathies to Cheryle’s family. I worked with Cheryle at the bank. She was such a sweet person and will be missed. Lifting you up in prayer. We are deeply sadden by your loss and our hearts are heavy for you. Much love to you all. Stephanie and Craig- We are so sad to hear the news. We have fond memories of Aunt Cherlye and are praying for you all.